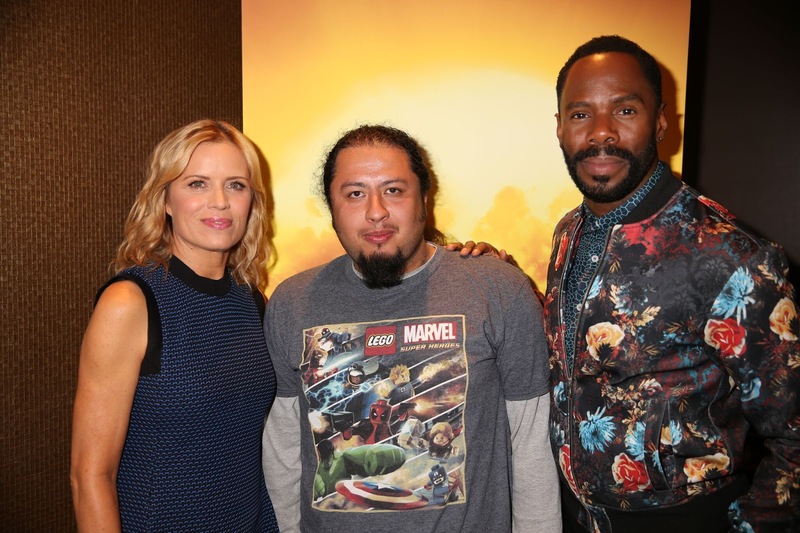 Since meeting Victor Strand on “Fear the Walking Dead” audiences have seen the charismatic character go through many situations in style. Colman Domingo has a fantastic style of his own and is able to inject some of his own personality to his character Strand from the moment he auditioned. Domingo auditioned for Strand in a bold way, showing up in an electric blue Hugo Boss suit, but it seems that the style choice has continued throughout. There has never been a character like Victor Strand in the Walking Dead universe, the upfront style of making the unpopular decision that best fits the bigger picture makes survival the priority. As seen through season 3, Strand uses his talents to be a useful component to everyone’s survival, but still doesn’t jeopardize the safety of himself or others who could be useful in surviving. The fearlessness and resourcefulness of Strand is the reason Domingo has enjoyed playing this character. The challenges of surviving and the manner in which that brings out the morality of Strand continue to keep the character evolving in the eyes of the audience. The relationships established by Strand come into play often in the series, from the initial meet up with Nick, and later on with Alicia, to the new found camaraderie with Madison. Strand grows closer with the Clark family because each individual brings something useful to the group and separate they are all still enough to survive. “It’s a new way of establishing a relationship between a man and a woman. Knowing that in the apocalypse all bets are off, everything that we knew about male and female relationships are challenged because now we have to come to new agreements,” Domingo said. Domingo loves the fact that Strand is evolving always, and is able to switch off with Madison to be the dominant personality and lead when each one finds their strengths. The dynamic between Strand and Madison grew in season three by then and a partnership is proposed which is much more than just something romantic, its something thats grown out of a mutual respect and love to which they each motivate each other to be their very best. Beyond the personal relationships, like many genre projects, “Fear the Walking Dead” deals with topics in the political climate by putting them in a different perspective, a more extreme perspective to give a view into the horrors that the mentality of the world can lead to. Season 3 deals with segregation, with ownership, with survivalist making their own rules and just how much of civilized society survives when worst comes to worst.